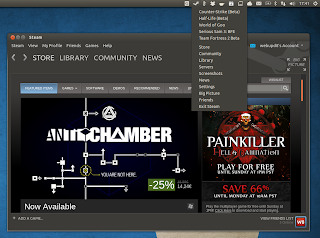 A quick tip for those of you who are using Steam for Linux in Ubuntu: you've probably noticed that Steam for Linux has recently got an AppIndicator, but its icon doesn't integrate with the default Ubuntu icons, so here's how to use Ubuntu Mono dark / light icons for the Steam AppIndicator. It make take a few seconds for the Steam appindicator icon to change to the new one. If it doesn't, you can try to change the icon theme to something else, then change back to Ubuntu-mono-dark or Ubuntu-mono-light (use a tool such as Unsettings, Ubuntu Tweak or GNOME Tweak tool to change the icon theme). Update: +Martin Kozub has updated Steam Skin Manager to automatically install these monochrome icons when using Ambiance / Radiance skins. 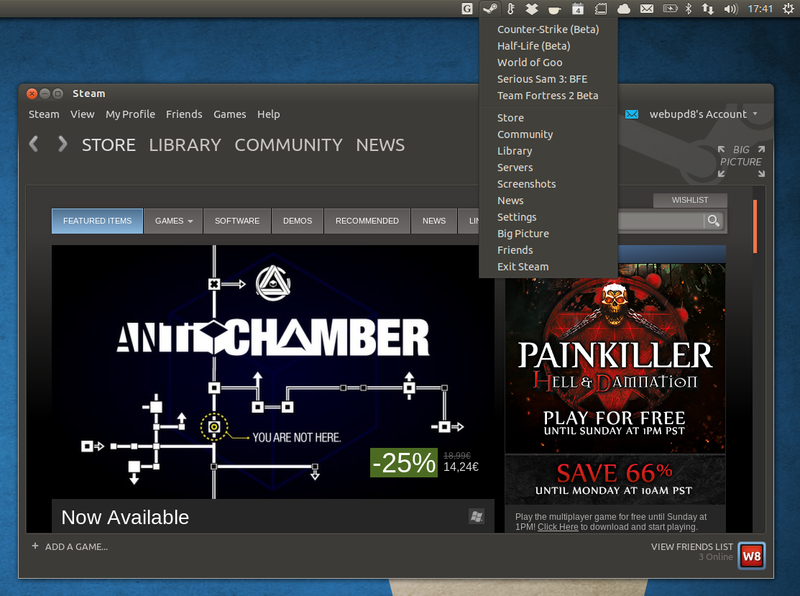 See: Download Steam For Linux Skin Manager (Includes Ambiance And Radiance Skins). Icons via blog.ants.im (created by WantsANexus7 and Oweoqi), but I've used different instructions which don't force an icon to be used no matter what icon theme is in use.